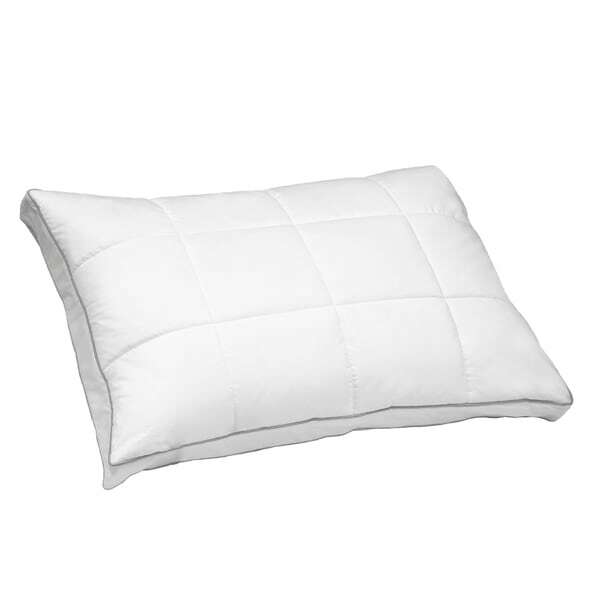 Offering square stitch quilted cotton cover and a white goose feather and down fill, this pair of luxurious pillows offers both comfort and longevity. Perfect for side sleepers, these medium-firm pillows deliver the necessary softness for a good night's sleep. Featuring cotton covers with 2-inch gusset side wall and color piping for added durability, this two-pillow set offers long-lasting use. Dimensions 18.0 In. X 26.0 In. X 2.0 In.